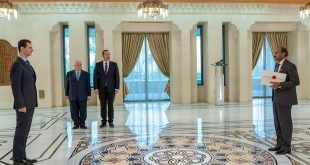 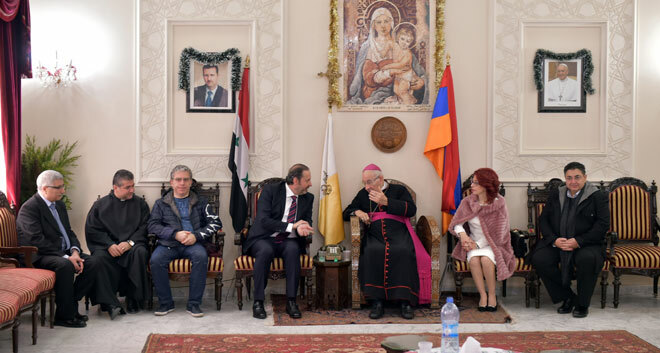 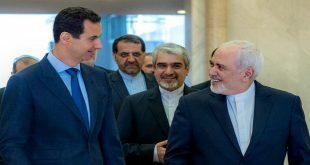 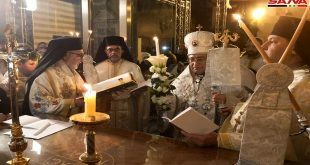 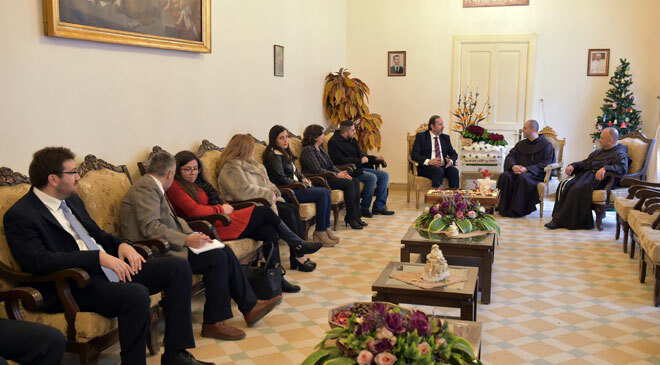 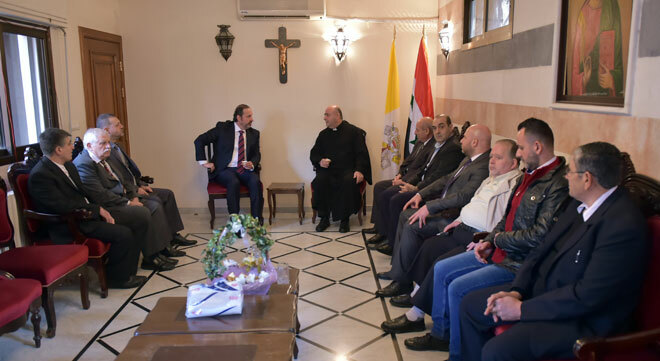 Damascus, SANA – Upon the instructions of President Bashar al-Assad, Minister of Presidential Affairs Mansour Azzam relayed to heads of Christian denominations in Syria greetings from His Excellency on occasion of Christmas, wishing them health and happiness. 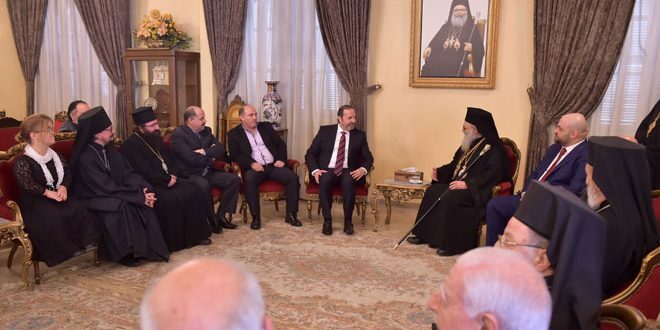 Minister Azzam met Patriarch John X Yazigi, Greek Orthodox Patriarch of Antioch and All East, Patriarch Mar Ignatius Aphrem II, Syriac Patriarch of Antioch and All East, and Patriarch Youssef Absi, Greek Melkite Catholic Patriarch of Antioch and All East. 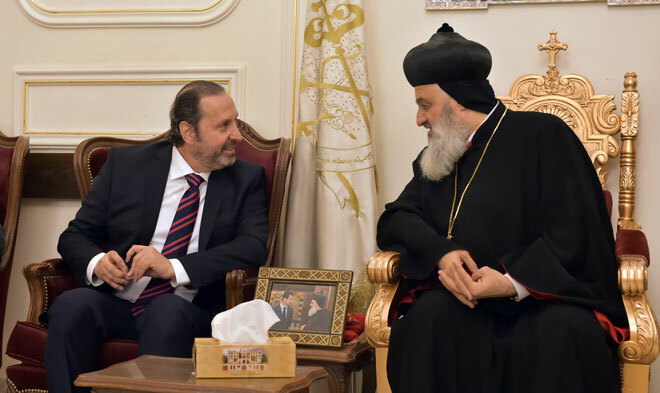 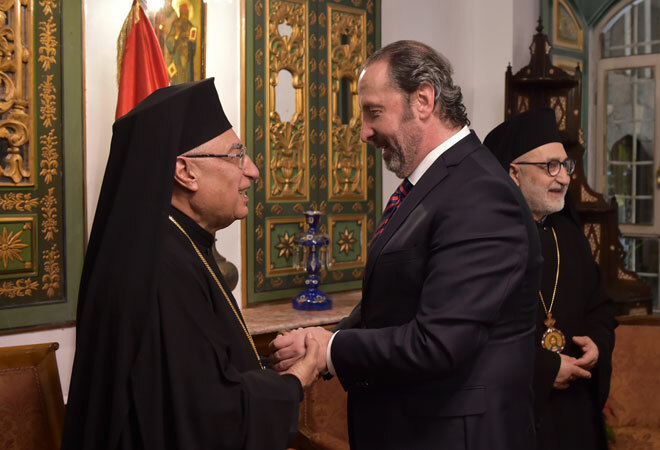 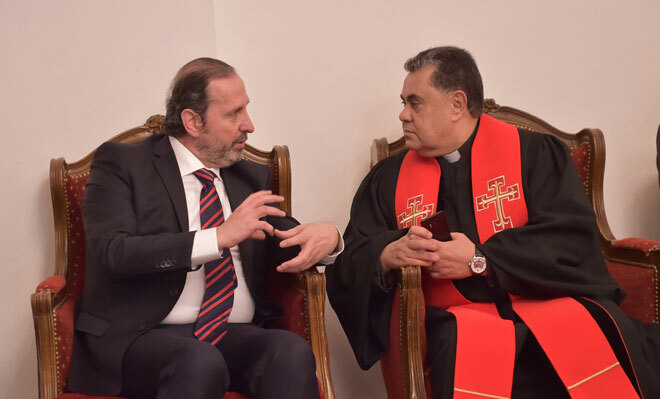 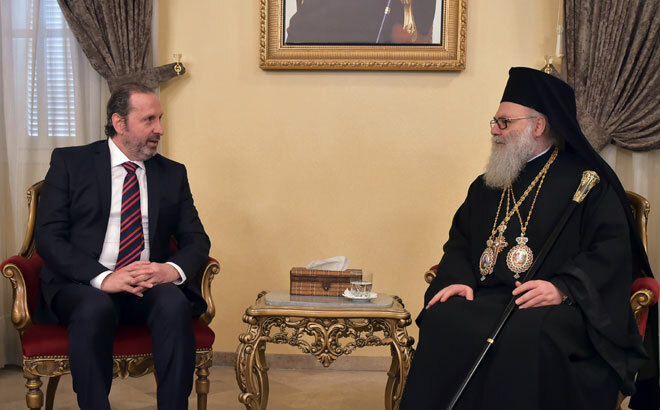 Azzam also visited Archbishop Elias Tabbi at the Syriac Catholic Archdiocese, Archbishop Jospeh Arnaouti at the Armenian Catholic Archdiocese, Rev. 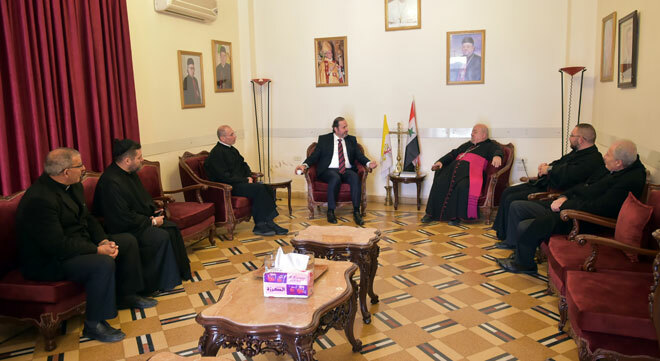 Boutros Zaour the pastor of the Naitonal Evangelical Church, Archbishop Samir Nassar at the Maronite Archdiocese, Father Bahjat Qarqsh at the Latin monastery in Damascus, and Father Malek Malous at the Chaldean Church in Damascus.